Another two chapters in our history read-along this summer! This section focuses exclusively on World War II in the Pacific, so if you’ve been waiting for that – we’ve arrived. Looking for some World War II books to read with kids? (since this read-along book isn’t suitable for kiddos) Check out our resource lists on the WWII history page! May we recommend Pearl Harbor is Burning! A Story of World War II Kathleen V. Kudlinski? Moving quickly, Japan captured large swaths of territory in the Pacific region and Southeast Asia in 1941-1942, including Thailand, Hong Kong, Burma, Malaya, Guam, Wake Island, and the Philippines. 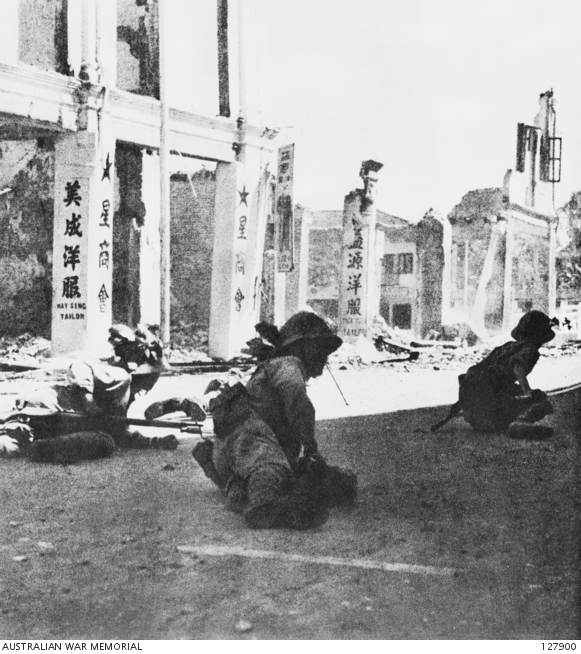 Asians, Americans, and Europeans throughout the Pacific region were surprised by the speed of Japanese attacks and usually unprepared. British colonial holdings (like Malaya, Burma, Singapore) in Southeast Asia fell quickly to the Japanese attacks, lacking strong leadership and the equipment of war to fight back effectively; typically motivated by self-preservation, imperialism, and racism, British military and civilians evacuated quickly, often leaving their native allies to face the Japanese alone. As the Japanese advanced, horrible atrocities were committed against civilians, enemy soldiers, and prisoners. The Japanese captured The Burma Road which had been used to bring American supplies/weapons into China to aid the Nationalists who were resisting the Japanese. In the capture of Burma alone, the Japanese advanced an average of 30 miles per day; the British lost 13,000 casualties, the Japanese only 4,000. Civilians fled in enforced migrations, trying to escaped the advancing armies and seek refuge in India. The American economy recovered from the Great Depression through World War II; during the conflict, Americans had more energy and hatred involved in the Pacific conflict than toward Hitler and the conflict in Europe. The Philippines came under attack immediately after Pearl Harbor (December 1941) and by December 22, the Japanese had established a firm beach head while American and Filipino defenses crumbled and troops and officers scrambled; however, the fighting continued for several months until April 9, 1942, when the Allies surrendered and the Bataan Death March began. In contrast to the British defenses in Southeast Asia, American and Filipino troops fought back and actual won Churchill’s admiration and envy. Unlike the land battles in the European Theater, Pacific battlefields relied heavily on naval and aerial combatants. On April 18, 1942, the Doolittle Raid took U.S. B-25’s on a bombing run over Tokyo. The Japanese hoped to fight long enough to win a negogiated settlement with the United States. The attempted Japanese invasion of Papua New Guinea and the Solomon Islands resulted in the Battle of the Coral Sea; though the Japanese won a tactical victory, the fleet sailed away, leaving the Allies with a strategic victory. At the Battle of Midway at the beginning of June 1942, the Americans won a decisive victory, battling at sea and in the skies. 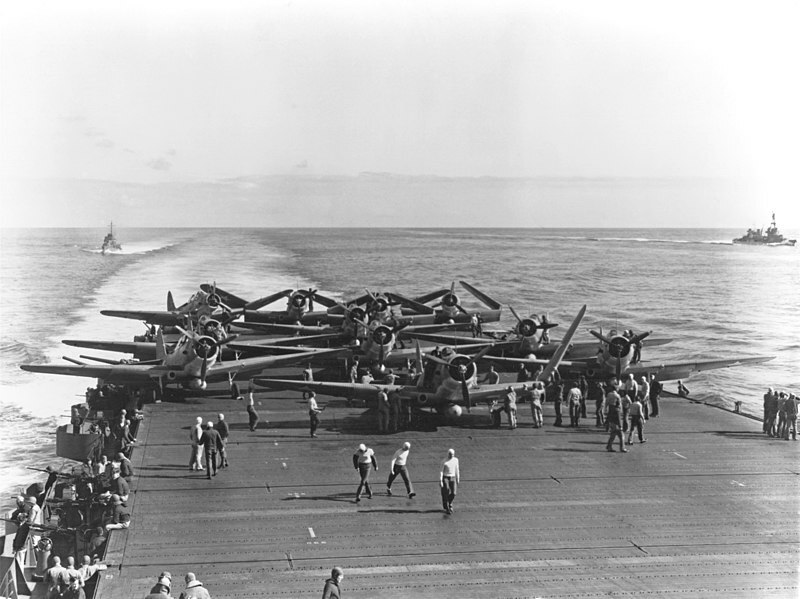 Planes prepare for take off aboard the USS Enterprise during the Battle of Midway. On August 7, 1942, American troops started landing on Guadalcanal and the fighting lasted for months in difficult conditions; eventually U.S. troops took the island but lost 6,700 men during the battles. Australian troops fought on Papua New Guinea, trying to reclaim the island which the Japanese planned to use as a base to attack the island continent; the fight for the Kokoda Trail was particularly brutal; Allies did not retake the majority of the island until August 1943. Less than a year after Pearl Harbor and the Pacific advance, the Allies had created a turning point and destroyed Japan’s hopes of a quick war and successful negotiation. 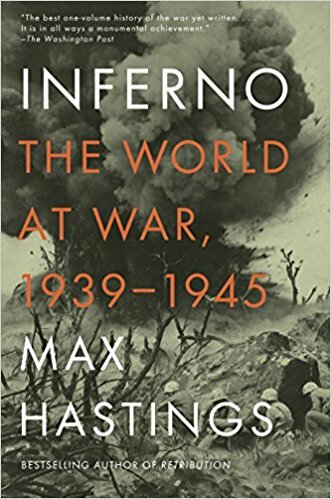 I was familiar with the fight for the Philippines and the “turning point” battles at seas, but I honestly didn’t know much about the disintegration of the British Empire in Southeast Asia during World War II. I found these details very interesting and also saddening – how imperialism and racism was often the reflected in the quick abandonment of colonial territories. In Chapter 10, the details about Australian and American military relations was particularly interesting as they helped and hindered each other during the Pacific campaigns. What facts or quotes really stood out to you? I’d love to hear about your interesting findings in the comments!